Welcome to the Columbiana Police Department section of our website. We hope you spend some time exploring the entire site and we ask that you let us know what kinds of information you would like to see here. There is a wealth of good information on this site that will help you get to know your law enforcement officials and the services we provide. As Chief, my mission is to create and maintain a community oriented, high performance team of law enforcement professionals who deliver timely, fair and effective police services to all of our citizens and visitors. The police officers and dispatchers of the Columbiana Police Department join me in providing timely responses to protective, investigative, preventive and law enforcement challenges that arise in our community. We are privileged to enjoy strong community support and I invite you to join us as partners in keeping Columbiana safe and peaceful. Our success and the success of our City is predicated upon cooperation and communication between police officials, city officials, school officials, business leaders, and interested citizens. I ask each of you to tell me about concerns, problems and relevant information that may enhance our ability to prevent criminal activity, solve crimes and improve the quality of life in Columbiana. Please use the interactive features of this web site to communicate with us and to learn more about your police department. Together, we can keep criminal predators from gaining a foothold in our beautiful City. The Columbiana Police Department is currently staffed with a Chief, 2 Sergeants, 17 officers, 10 dispatchers, and 20 Auxiliary officers. The Columbiana Police department is the primary law enforcement provider for the City of Columbiana, Ohio with a jurisdictional area of 6.2 square miles which includes a household population of 6,384. 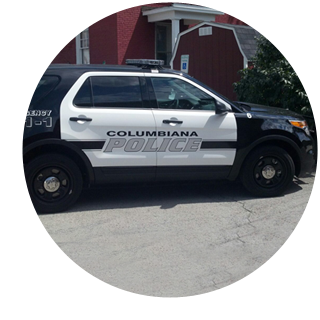 The Columbiana Police Department dispatches for the Police Department, City Fire and EMS Departments and also acts as a Columbiana County 911 PSAP. The 911 PSAP is the primary answering point for all calls that originate in the City of Columbiana, the Village of Leetonia, and Fairfield Township. 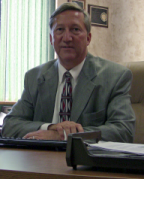 Secondary answering point services are provided on an overflow basis to the rest of Columbiana County as needed. The Columbiana Auxiliary Police was first formed in 1940′s as a Civil Defense Unit with 22 men. It was soon boasting 42 members. A few years later, after deciding to part from the “Civil Defense” as the membership wanted to work only in their own community, the “Auxiliary Force” was formed. The Columbiana Force was the first Auxiliary Unit in the area. Art Carpenter was named commander, and the unit was divided into three squads, with Carpenter leading one, and Sgt. Gene Hanna and Sgt. Herb Scott leading the other two. The Auxiliary unit serves as a backup unit for the Columbiana Police. The Auxiliary force is responsible for all of the traffic and crowd control at all special events held in the city, including the 4th of July Festival, the annual Columbiana Street Fair and Columbiana Christmas Parade. They also assist the regular department during natural disasters and power outages with in the city.